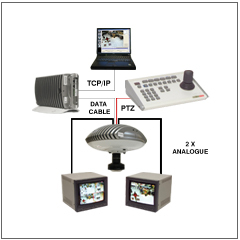 The Halocorder can easily be integrated with an existing anaologue installation with a single connection. .
Add Haloviewer remote viewing software and a TCP/IP connection for live remote monitoring and access to 360° recordings from Halocorder. 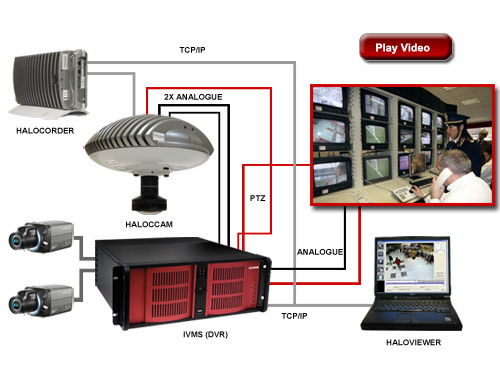 With Grandeye's SDK pack, the Halocam and Halocorder can be fully integrated into a DVR for more advanced functionality, such as long term archival. 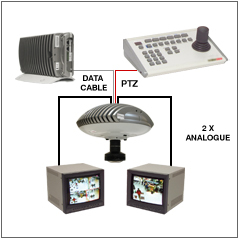 © 2005-2008 IVIEW Digital Video Solutions Inc.. All rights reserved.